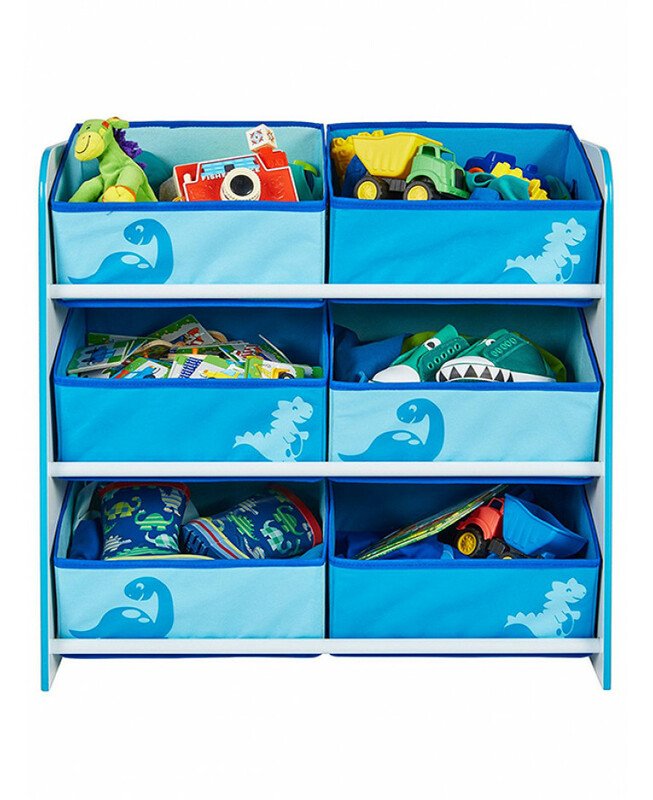 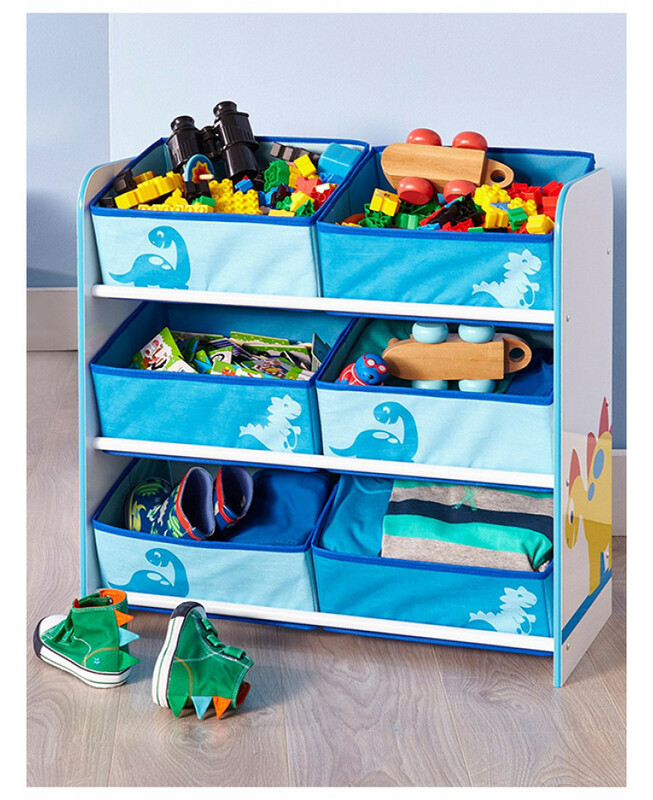 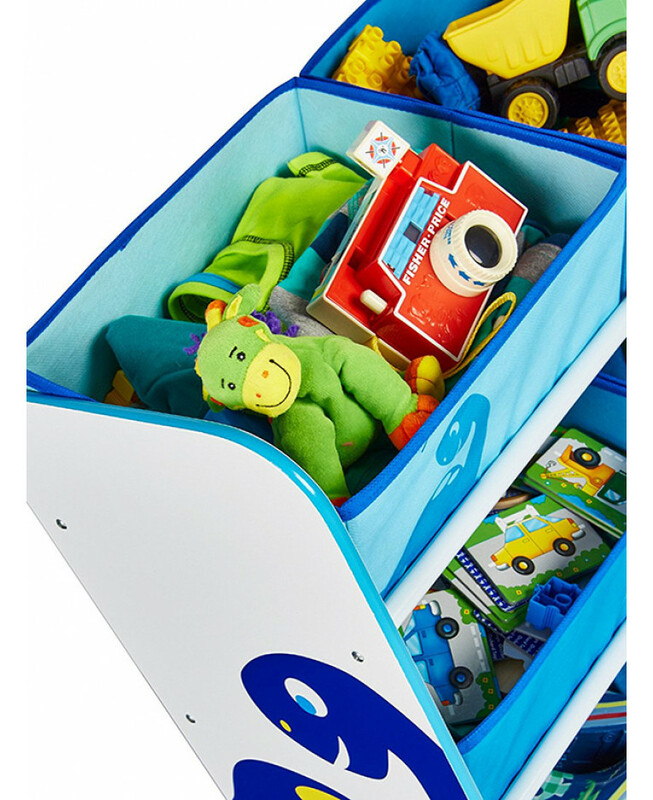 Tidy up in no time with this useful Dinosaurs 6 Bin Storage Unit. 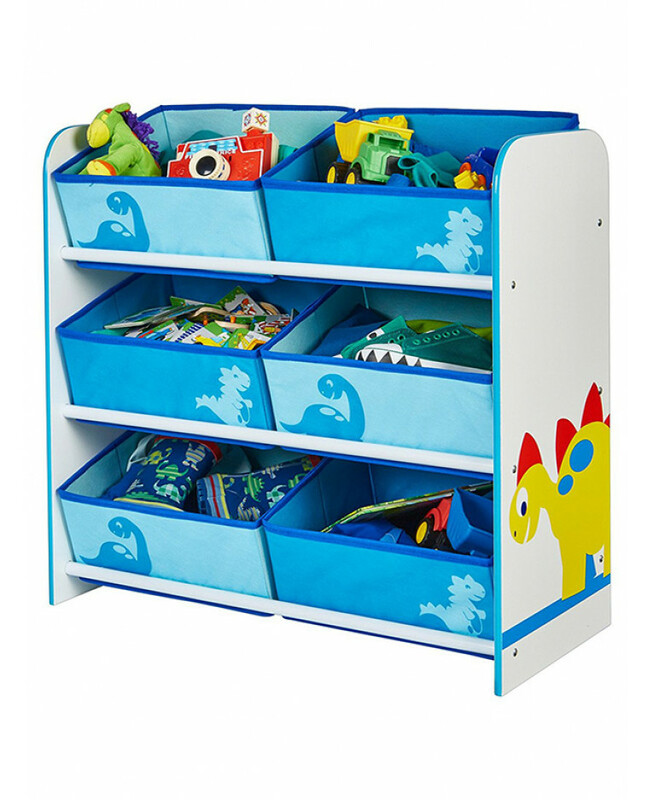 Designed to make tidying up a pleasure rather than a chore, its strong MDF frame and 6 sturdy fabric drawers are ideal for storing books, games and toys. 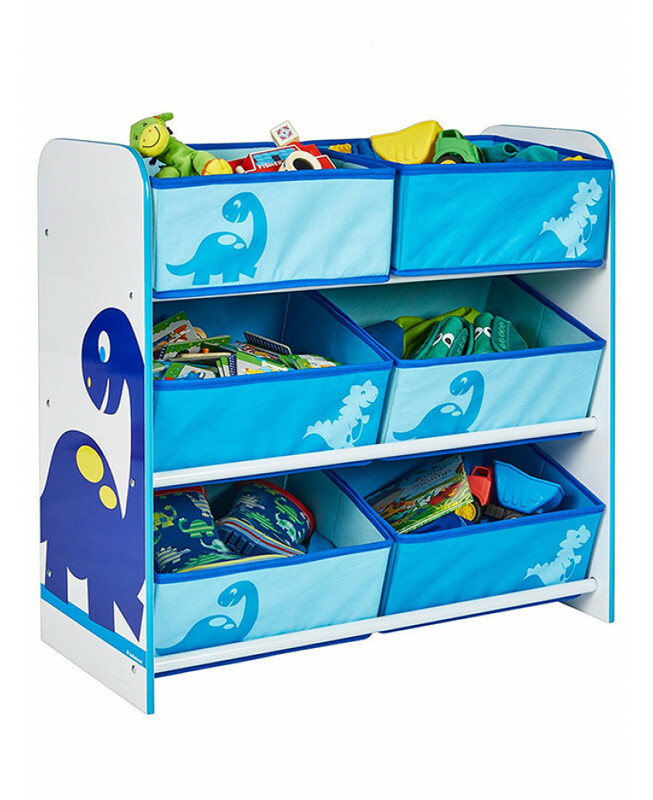 The design has a fun dinosaurs theme in blue, white and yellow that your little one will love. 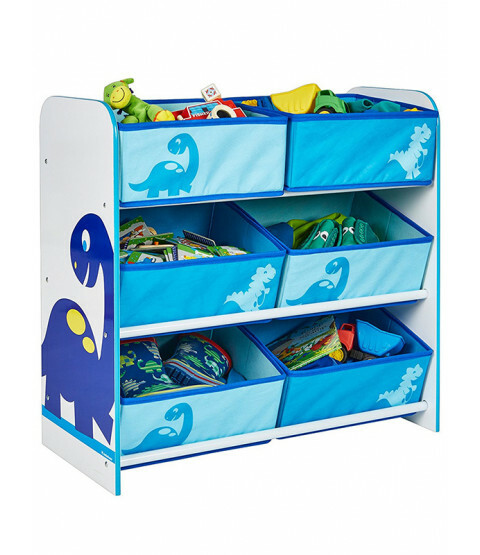 Coordinating items are also available from our website to complete the look of your child's bedroom or playroom.